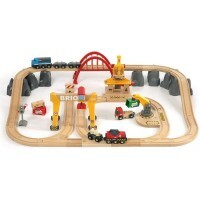 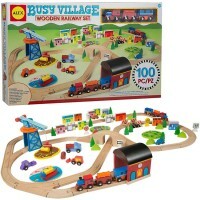 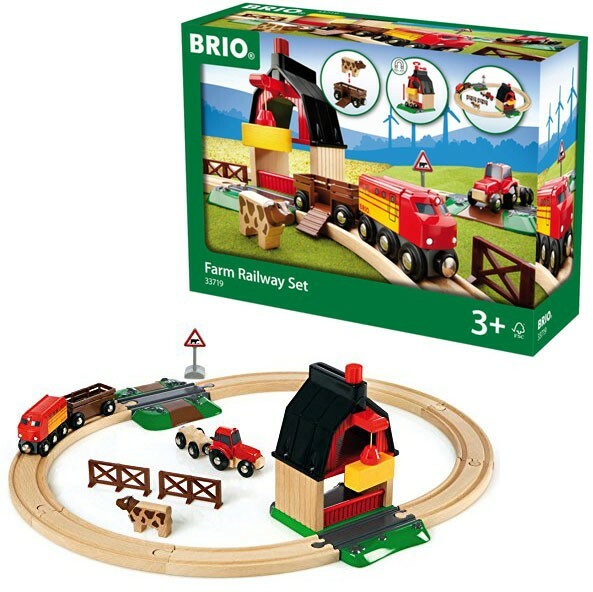 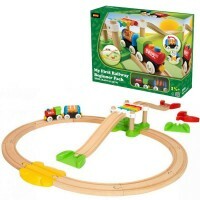 This Brio Farm Railway 20 pc Wooden Train Set combines the best of both worlds: the track & trains road and pretend farm set. 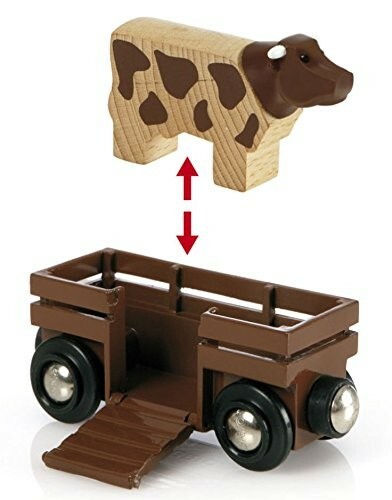 Old McDonald had a farm... 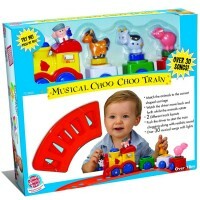 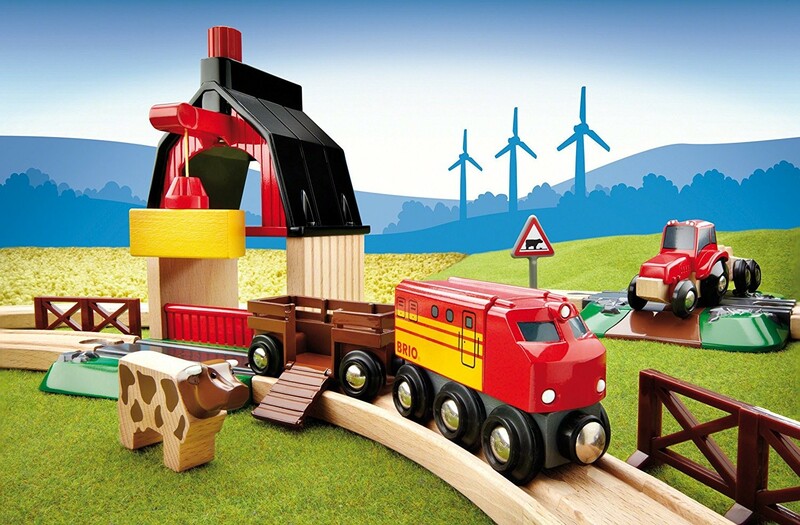 Your young farmer will have a farm railroad! 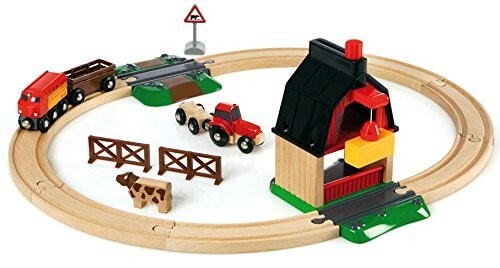 This farm on tracks from Educational Toys Planet combines the best of both worlds: the track & trains road and pretend farm set. 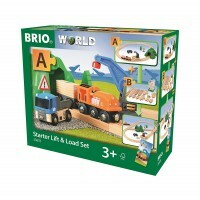 Brio Farm Railway 20 pc Wooden Train Set is designed and well made for boys and girls to ride the magnetic cargo and farm tractor train in any direction. 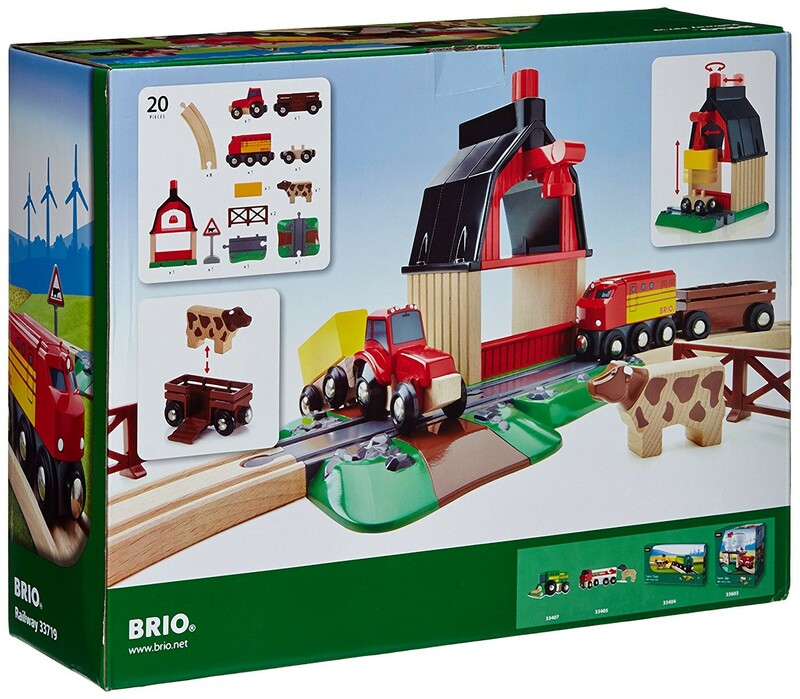 This Brio playset comes with everything your preschool train lover needs to build a farm transportation hub and play with tracks and vehicles for hours. 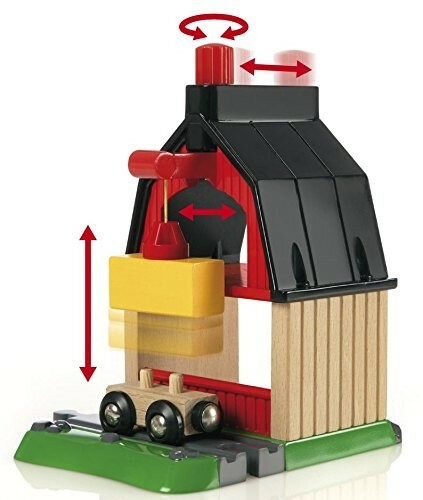 This wooden railroad playset features 20 pieces including a farm engine with transport wagon, cow figure, farm tractor, hay load, and barn station with magnetic crane to lift the hay load, curved wooden tracks, a straight track, and more play accessories. 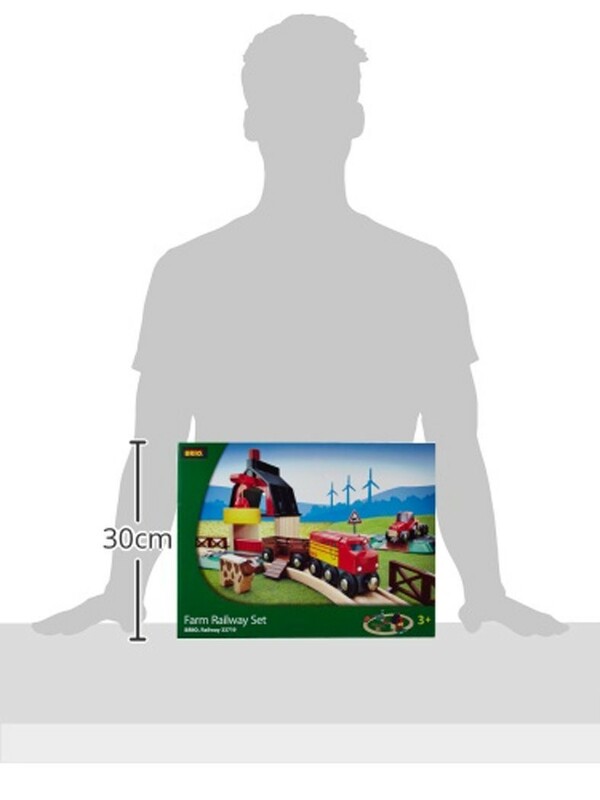 Assembled Farm Railway Set takes about 22.5 x 20.5 x 7 inches. 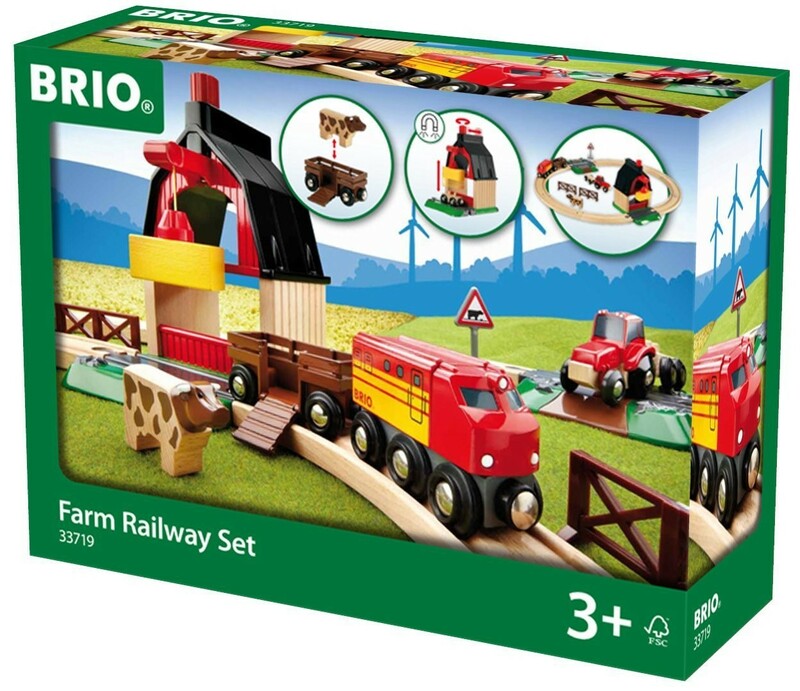 Compatible with all Brio toy trains and railway pieces, this farm train playset is a perfect start of imaginative train play for your preschool child. 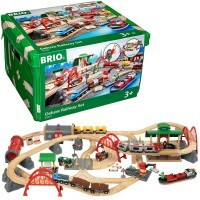 Dimensions of package 20" x 22" x 7"
Write your own review of Brio Farm Railway 20 pc Wooden Train Set.